The Handbooks in Finance are intended to be a definitive source for comprehensive and accessible information in the field of finance. Each individual volume in the series should present an accurate self-contained survey of a sub-field of finance, suitable for use by finance and economics professors and lecturers, professional researchers, graduate students and as a teaching supplement. The goal is to have a broad group of outstanding volumes in various areas of finance. 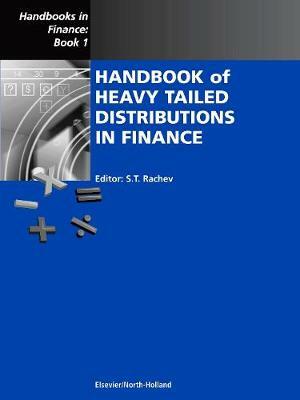 The Handbook of Heavy Tailed Distributions in Finance is the first handbook to be published in this series. This volume presents current research focusing on heavy tailed distributions in finance. The contributions cover methodological issues, i.e., probabilistic, statistical and econometric modelling under non- Gaussian assumptions, as well as the applications of the stable and other non -Gaussian models in finance and risk management. Rich Dad's Who Took My Money?